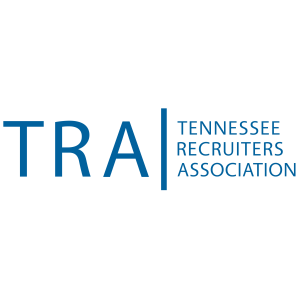 Tennessee Recruiters Association (TRA) is a professional association of recruiters engaged in the temporary and permanent staffing, placement and executive search industry. Together we form a cooperative group of professionals who seek to achieve excellence in the industry through member attended educational opportunities and forums discussing and sharing best practices within the industry. Collectively we are talented, creative, action-oriented people, who seek to learn, educate and grow within the ever-changing recruiting industry.We are devoted to building and maintaining the highest standards of ethical practices of our profession and in so doing are associated with NAPS The National Association of Personnel Services. The National Association of Personnel Services has been the staffing industry educator since 1961 and enjoys its reputation as the oldest industry association. We continue to maintain the position as the search and staffing industry educator. The TRA proactively serves its membership by planning and hosting industry specific educational initiatives where information and professional skills relative to the staffing and recruiting industry are shared by subject matter experts. In addition to lunch meetings held approximately every six to eight weeks, occasional informal gatherings are hosted which create professionally cooperative environments and forums for open discussion and further development of best practices within the industry. Each meeting qualifies for CEU’s (Continuing Education Units). Once a year, the TRA will also host an annual training conference, bringing to Nashville a nationally recognized elite performer and presenter in the industry. This level of training and skill development would be otherwise cost prohibitive to the individual staffing or executive search professional.